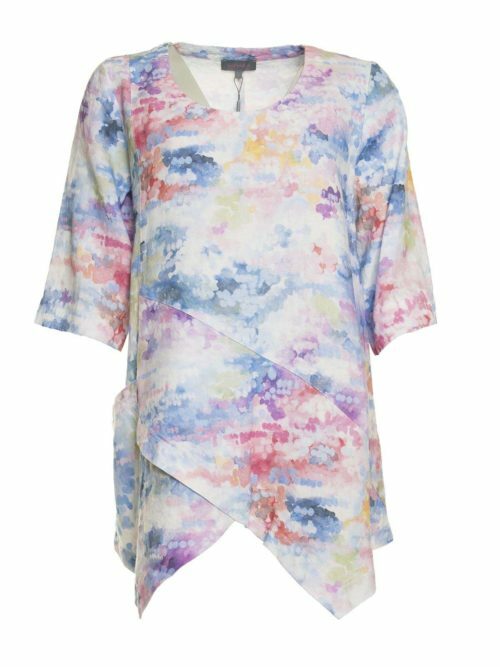 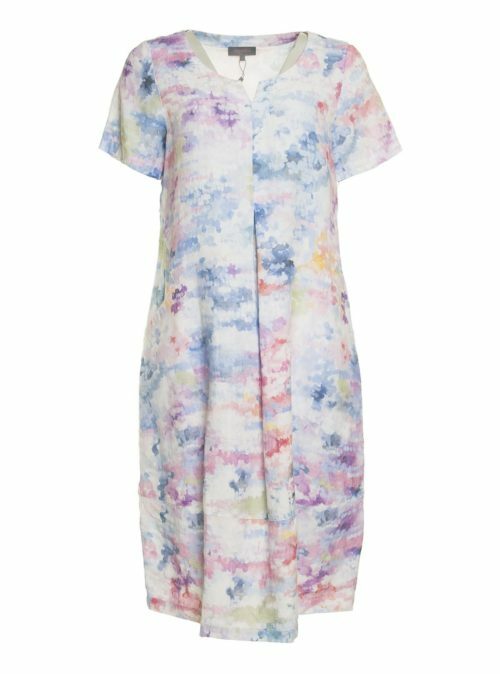 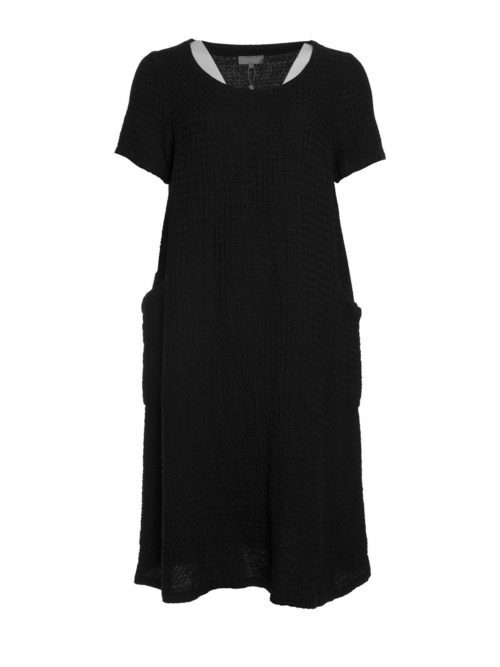 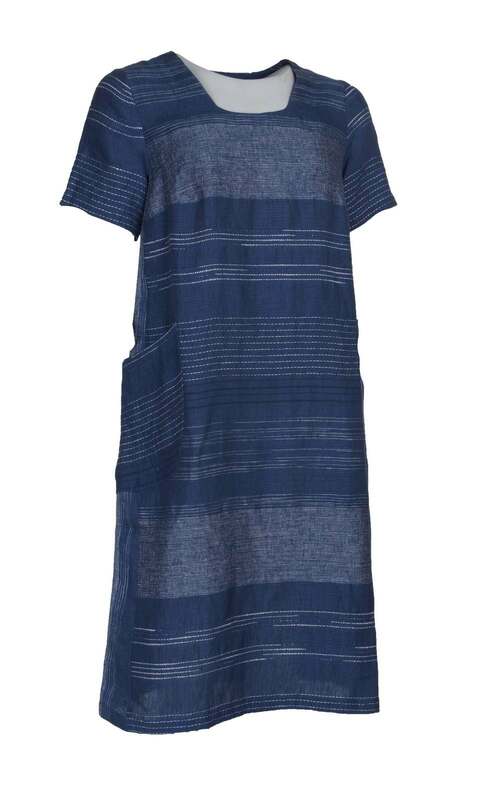 Stunning shift shape dress in a lovely denim blue. 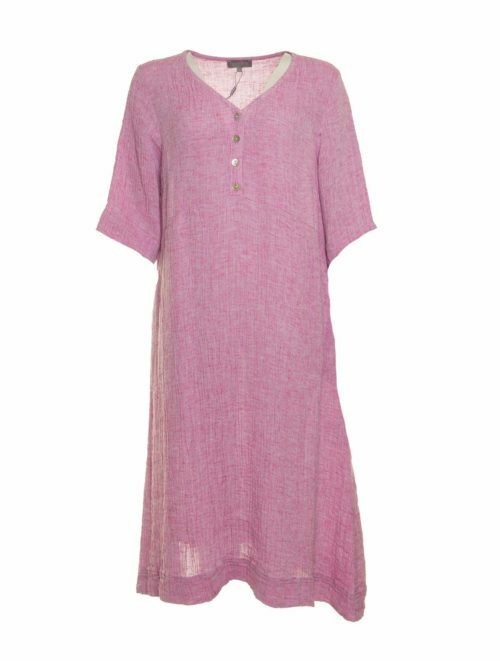 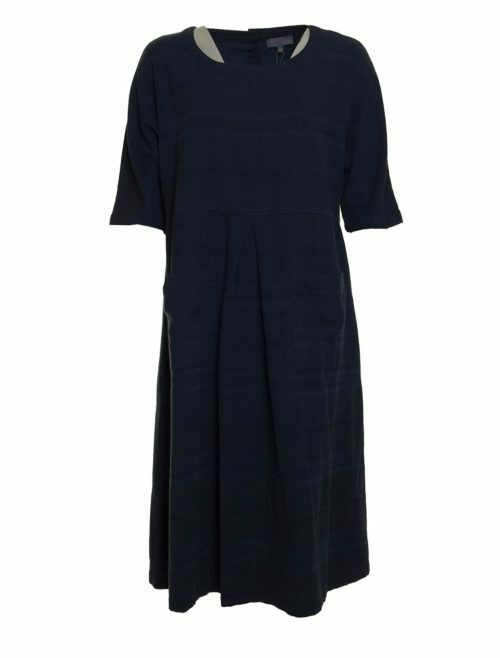 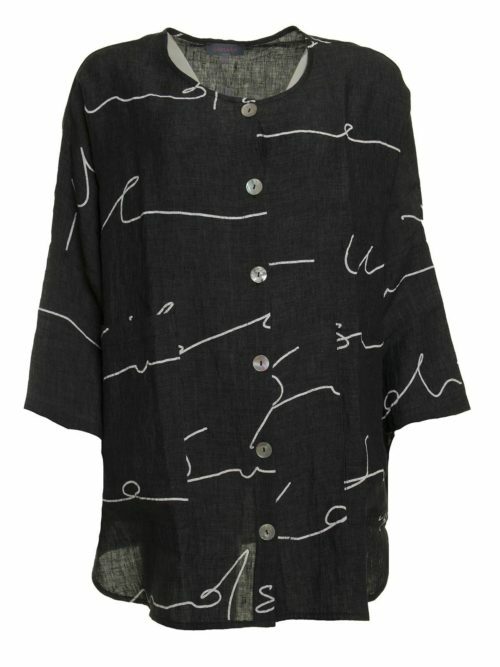 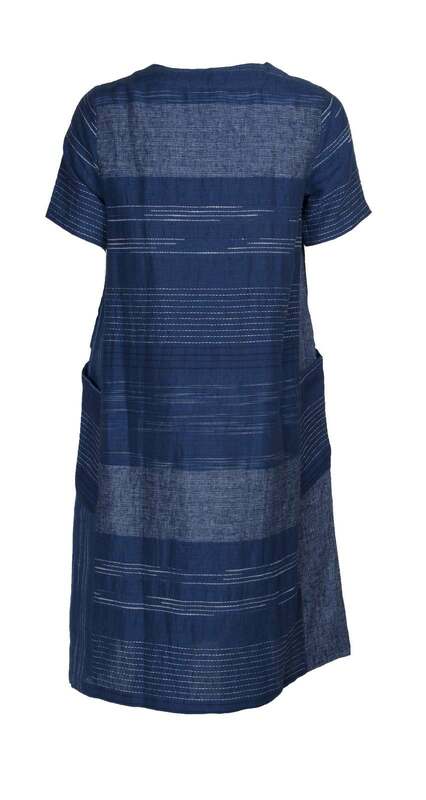 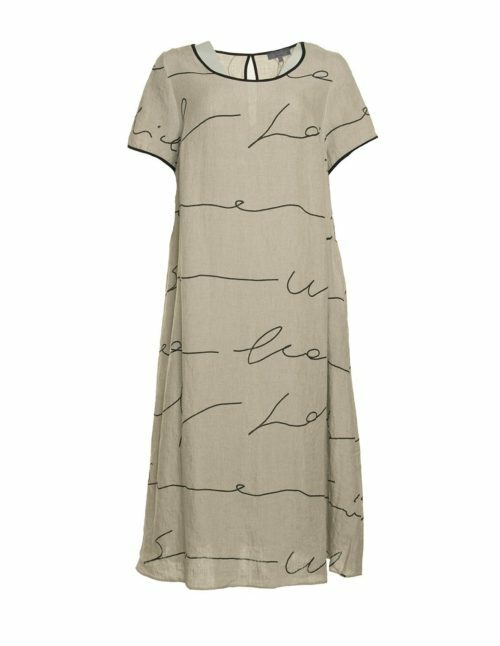 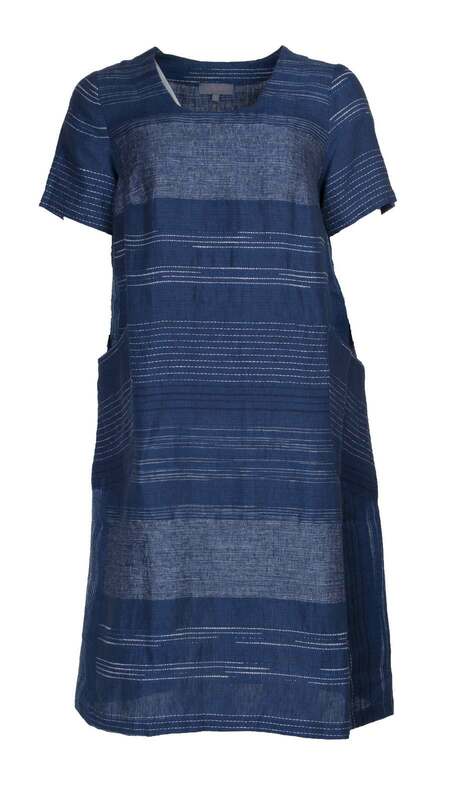 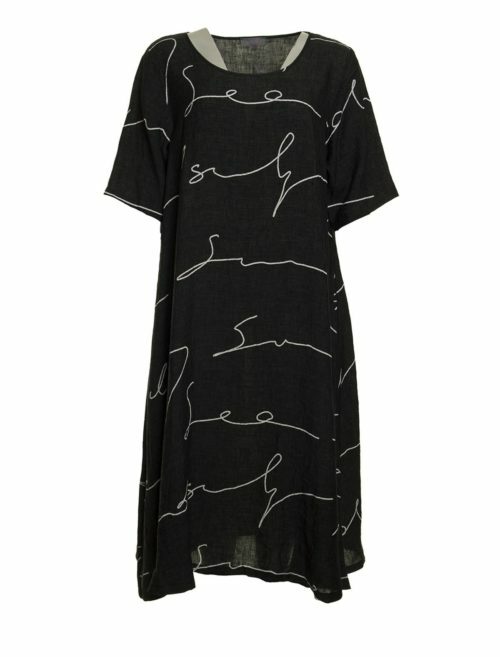 Katie Kerr Indigo stripe dress is a shift shape dress in interesting embroidered and woven pattern on blue denim linen. 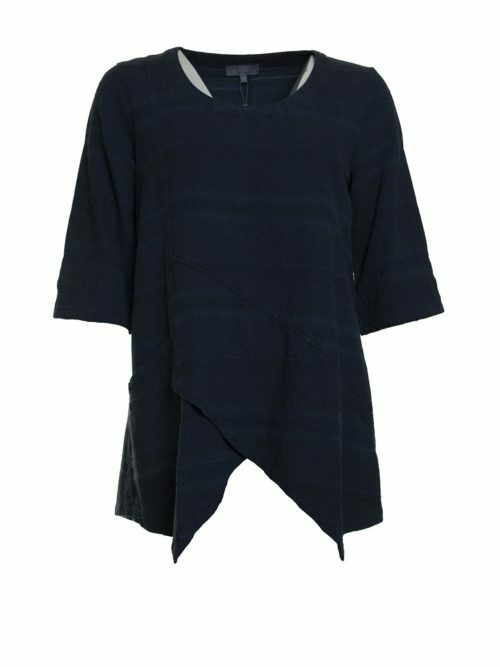 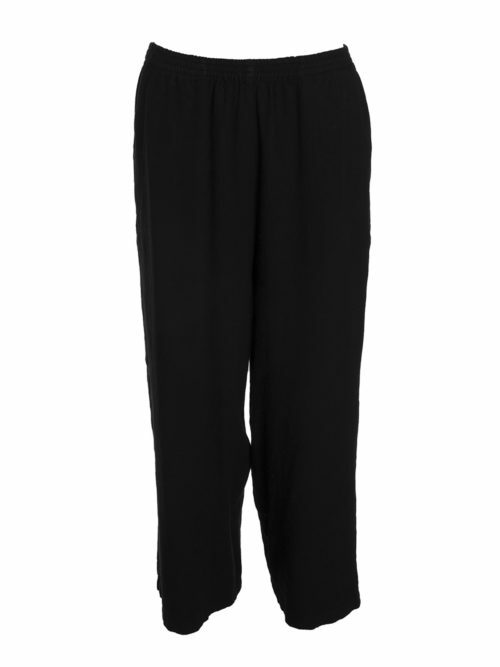 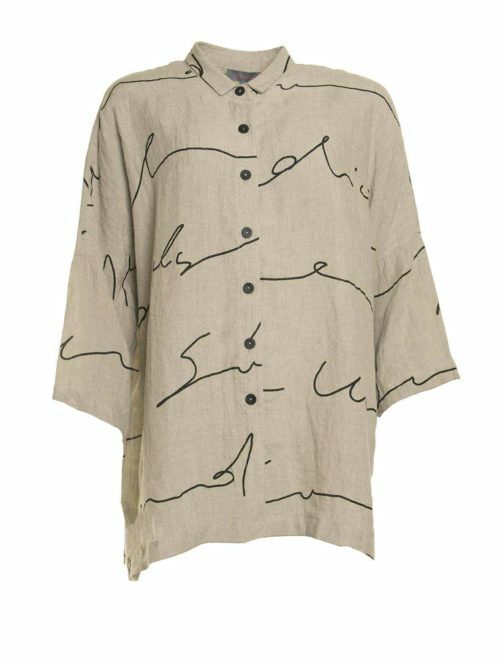 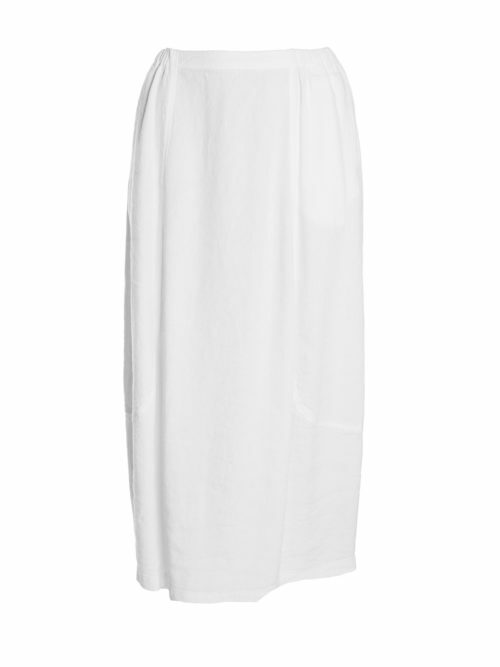 Slant pockets to the sides with a scoop neck and short sleeves.